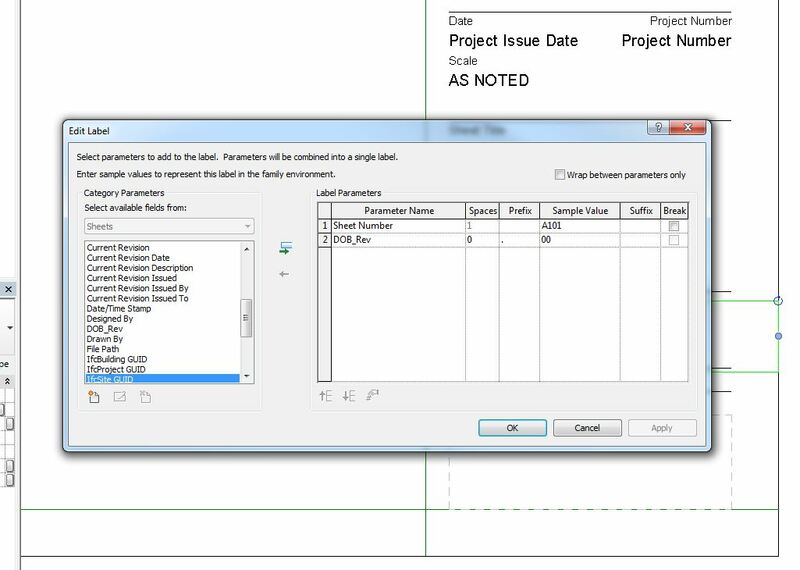 Here’s a tip on how to make your sheets in Revit a bit more flexible. 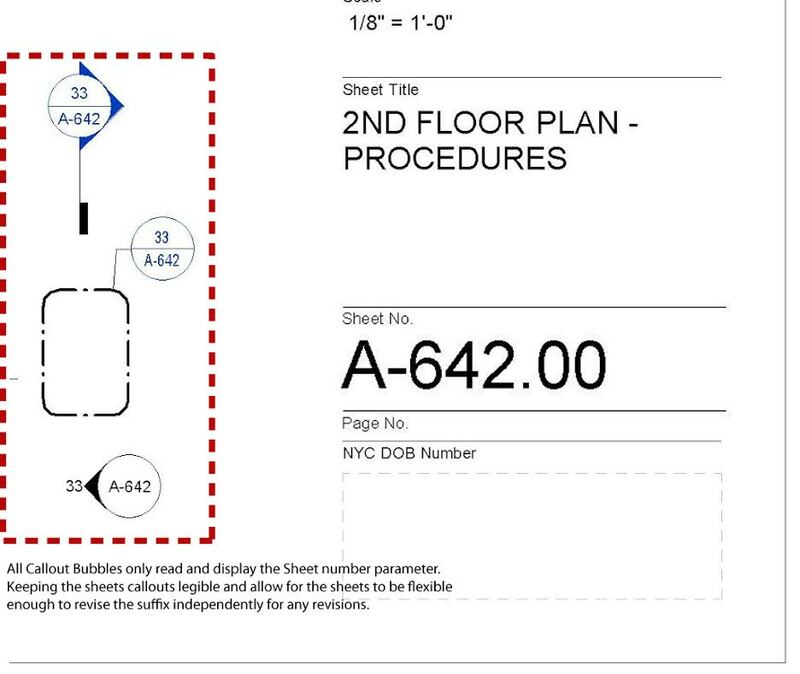 In New York, drawings submitted to the Department of Buildings (DOB) require a suffix after the drawing to record revised and issued sheets. They are formatted like the example below. 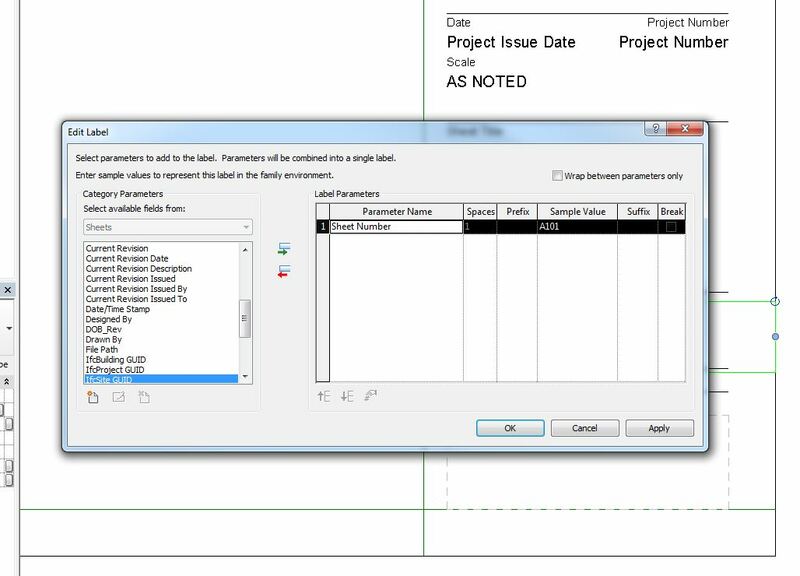 In Revit, right out of the box, a sheet number parameter exists in the title block family which allow you to create your sheets with unique numbers. 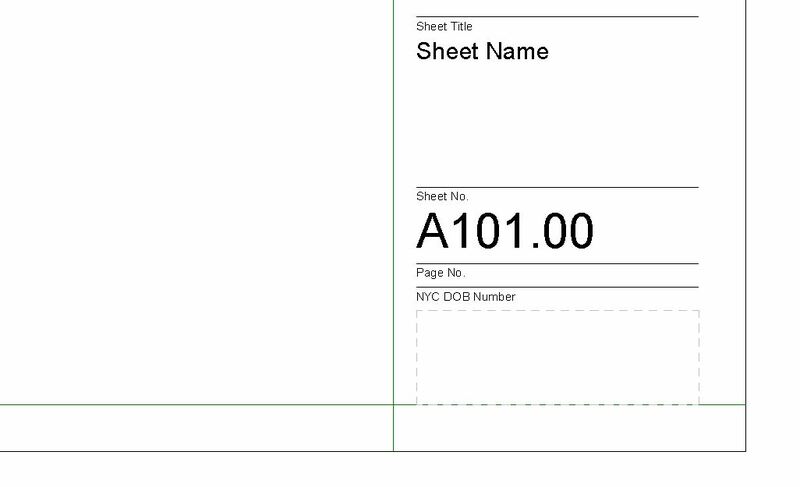 That parameter also lives in the Call-out/Section/Elevation bubbles to allow coordination with sheet details to specific sheets. If you have created documents in Revit, this isn’t new. One of the problems that come up in regards to the DOB requirement above, is the length of the sheet number and how it reads in the bubbles. If the number is longer, it will bleed out of the bubble and potentially become illegible. See example below. Now there are many ways to fix this. 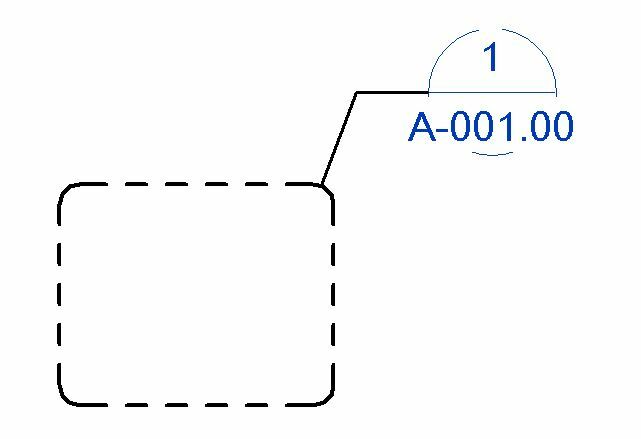 In some cases, the sheet number is written as just”A-001″ leaving out the suffix in the sheet number parameter. Within the title block family, generic text is placed to represent the missing suffix in order for the sheet to look correct. This works because it allows the bubbles to show the sheet number and your sheets to have the suffix independent of one another. The downside is you can’t adjust the suffix per sheet because it’s embedded in the title block family and hence global. Another solution which works, is allowing for a larger Call-out/Section/Elevation bubble to accommodate the text, which gives you cleaner drawings and no need for text to be placed with in the title block family. The problem here is when you change the drawing number to reflect a DOB revision, the drawing list (which is reading your sheets) will represent the suffix revision in the drawing list schedule. The drawing list is primarily used to record and document the sheets as they were created for the project. 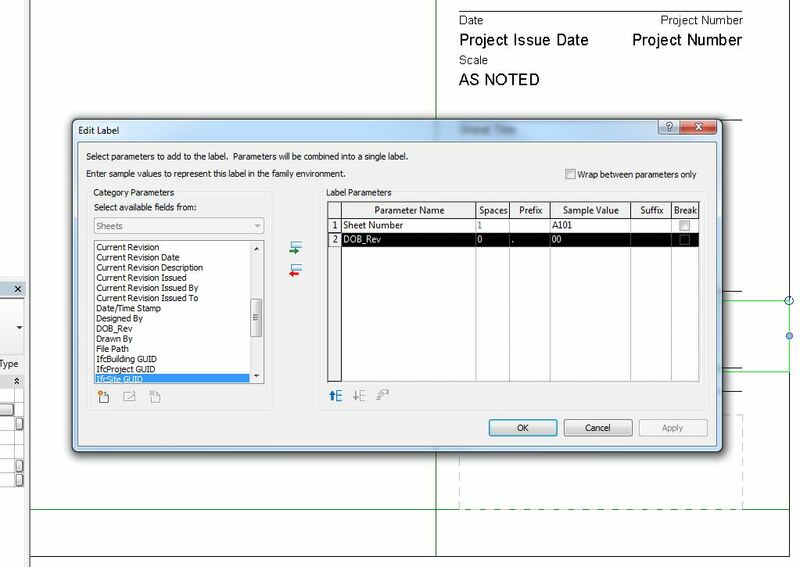 Tracking DOB sheet revisions happens on the sheets themselves and shouldn’t change the preliminary drawing number. So the solution is really simple and you may know it already. You can actually place multiple parameters in one label. You simply need to create a shared parameter to represent the suffix. Once placed in the sheet, it can be modified per sheet, allow for sheet flexibility and sheet clarity. 1. 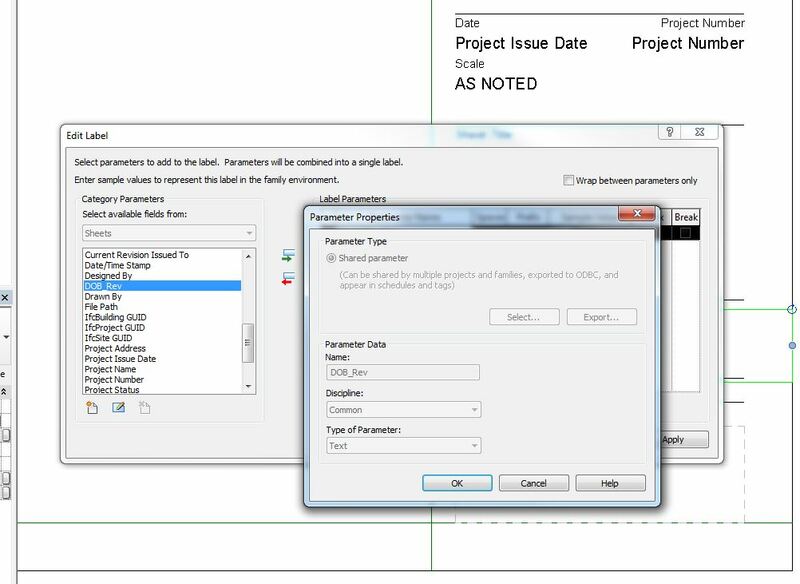 Create a shared parameter for the DOB Revision, make sure it is in your title block and your project. You should have a shared parameter file set up to do this. If you don’t know how to make shared parameters, go here. Make sure to organize your parameter in a way that you will be able to find it in the properties browser when you select your title block with in the project. 2. Once you have the shared parameter, add it to the label you’re using to house the sheet number parameter. 3. Format the parameters within the label so they appear and function properly in the sheet family. 4. Finally, load that title block family into your project. If you did everything properly, you will notice your view tags only display the first group of characters. That is because those bubbles only report the sheet number parameter and not the DOB Rev parameter you created. In the sheet family, you see both parameters combined and with the flexibility to adjusted the suffix as you need to.